This 20 inch multi-purpose floor machine is part of the elite Clarke® CFP Pro® series and is a solid performer among everyday users. It's heavy duty and versatile enough to clean, buff, strip or polish almost any flooring surface and is a must-have for any floor care professional. It is made of steel with a chrome-plated bell housing and a handle shaft with compression-style hand-height adjustment. This model also comes standard with comfortable and solid handles with safety interlock activation to prevent accidental start-up. 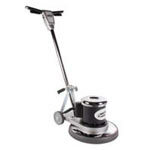 The heavy gauge, chrome-plated steel handle provides maximum machine control, strength and durability. A powerful motor with triple planetary gear systems provides smooth, quiet and reliable operation while the high torque system allows for smooth start-ups on all hard floor surfaces. 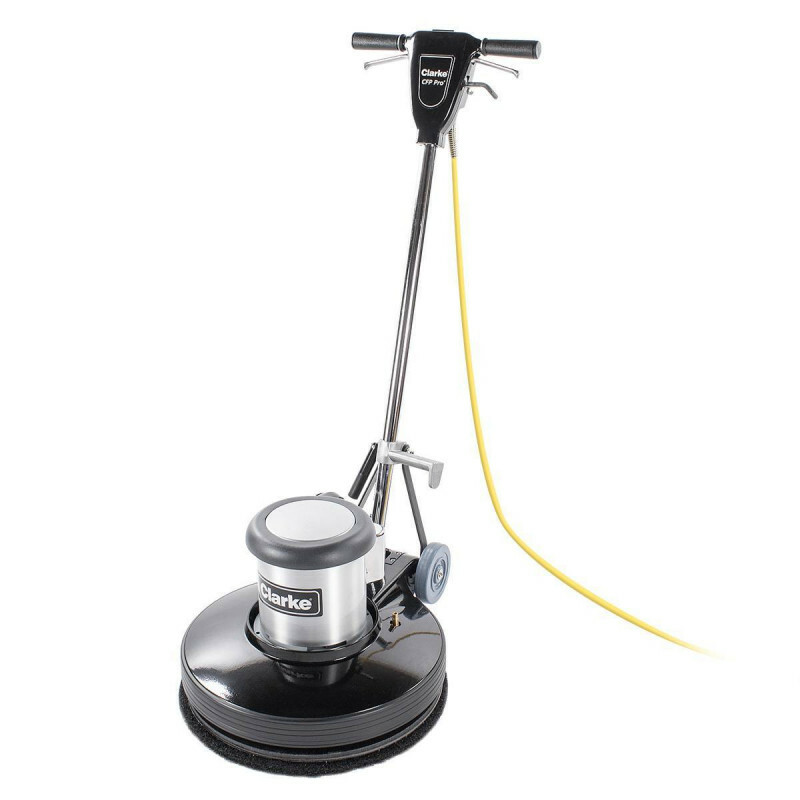 For other less expensive machines that can also scrub both carpets and hard floor surfaces, take a look at our complete line of 20 inch floor scrubbing machines. Easy-to-use fingertip controls and multiple safety features. Hook stores cord conveniently, and easily for quick access. One piece steel handle construction maintains durability through life of machine.